Morning sightseeing tour of Chandigarh , visiting the Museum , High Court , Assembly Chamber and Rock Garden. Afternoon drive to Amritsar ( 250 kms/06.50 hrs ) , situated on the north - western border of the country. 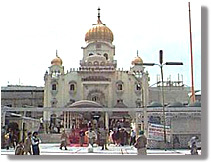 The 400 years old city , founded by the fourth guru of the Sikhs , Guru Ramdas , has been the seat of the Sikh religion and culture from its very inception. 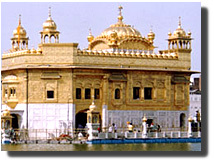 It is renowned for the famous Golden Temple. Amritsar , literally - ‘Pool of Nectar' , erives its name from the holy pond around the temple. The land for the pool was gifted by the Moghul Emperor Akbar. Check in at hotel on arrival. Overnight at hotel.